We are a leading 100% Export Oriented Unit of personable 925 sterling aventurine beaded necklace, sugilite amethyst gemstone silver necklace, placid amethyst gemstone silver necklace, large fashion 925 sterling silver labradorite necklace, fabulous 925 sterling silver citrine necklace and 925 sterling silver necklace from Jaipur, India. 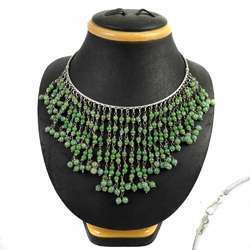 Personable 925 Sterling Silver Green Aventurine Beaded Necklace Classy Style Green Aventurine gemstone 925 sterling silver necklace at wholesale price. 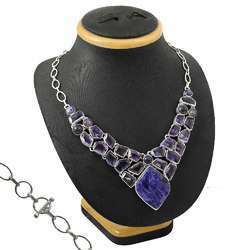 Big Dreamer Sujilite, Amethyst Gemstone Silver Necklace Jewelry Exquisite Sujilite, Amethyst gemstone 925 sterling silver necklace at wholesale price. Minimum Order Quantity of 6 Necklaces in Mix assorted gemstones. 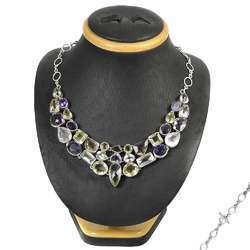 Placid amethyst Gemstone Silver Necklace Jewelry Big Design amethyst gemstone 925 sterling silver necklace at wholesale price. 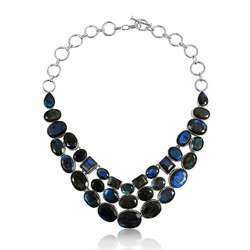 Large Fashion 925 Sterling Silver Labradorite Necklace Sightly Labradorite gemstone 925 sterling silver necklace at wholesale price. 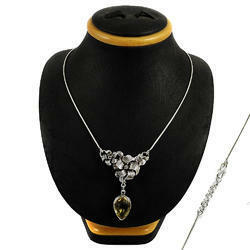 Fabulous 925 Sterling Silver Citrine Necklace Big Dreamer citrine gemstone 925 sterling silver necklace at wholesale price. 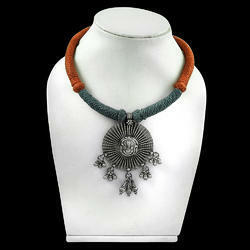 Big Relief 925 Sterling Silver Necklace Jewelry Big Inspire 925 sterling silver necklace at wholesale price. Minimum Order Quantity of 12 Necklaces in Mix assorted designs. 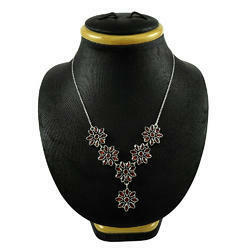 New Style 925 Sterling Silver Necklace Soigne 925 sterling silver necklace at wholesale price. 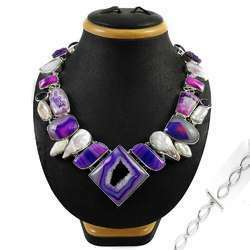 Lavender Dreams 925 Sterling Silver Necklace Breathtaking 925 sterling silver necklace at wholesale price.Silver. 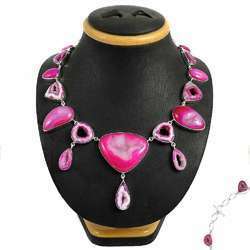 Shapely 925 Sterling Silver Rhodochrosite Necklace Awesome Rhodochrosite gemstone 925 sterling silver necklace at wholesale price. Awesome Design Of 925 Sterling Silver Druzy Necklace Big Delicate Druzy gemstone 925 sterling silver necklace at wholesale price. Minimum Order Quantity will be 6 necklaces in Mix assorted Druzy or Gemstones. 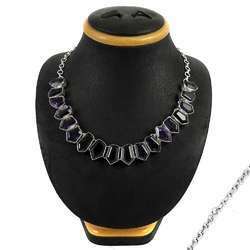 Classic Design Amethyst Gemstone Sterling Silver Choker Necklace Cute Amethyst gemstone 925 sterling silver necklace at wholesale price. 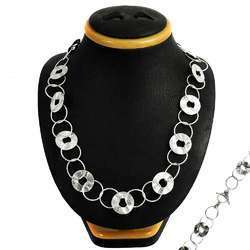 Love Circle 925 Sterling Silver Necklace Jewelry So In Love 925 sterling silver necklace at wholesale price. Big Love's Splendid Ruby 925 Sterling Silver Bezel Necklace Charming ruby gemstone 925 sterling silver necklace at wholesale price. The One 925 Sterling Silver Druzy, Chalcedony & Pearl Necklace Popular Design Druzy, Chalcedony & Pearl gemstone 925 sterling silver necklace at wholesale price. 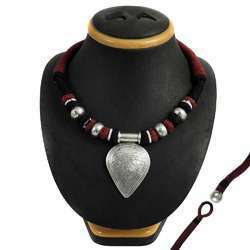 Scrumptious Design 925 Silver Garnet Necklace Shine garnet gemstone 925 sterling silver necklace at wholesale price. 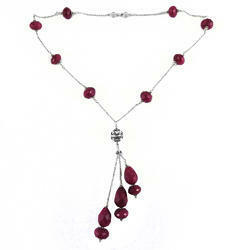 New Awesome Ruby Gemstone Silver Necklace Jewelry Created Ruby gemstone 925 sterling silver necklace at wholesale price. 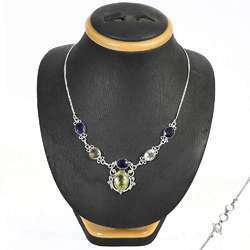 Handcrafted Lemon Topaz, Citrine, Amethyst Gemstone Silver Necklace Jewelry Stylish Lemon Topaz, Citrine, Amethyst gemstone 925 sterling silver necklace at wholesale price. Daily Wear Green Amethyst, Citrine, Amethyst, Smoky Quartz, Rose Quartz Gemstone Silver Necklace Jewelry Big Fabulous Green Amethyst, Citrine, Amethyst, Smoky Quartz, Rose Quartz gemstone 925 sterling silver necklace at wholesale price. Antique Stunning Rich 925 Sterling Silver Necklace Plain Silver Necklace Jewelry Dream Day 925 sterling silver necklace at wholesale price. 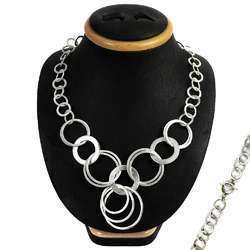 Classy 925 Sterling Silver Necklace Big Natural Top 925 sterling silver necklace at wholesale price. 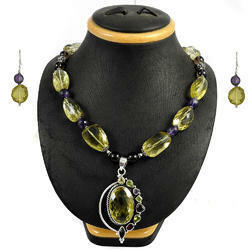 925 Sterling Silver Beads Necklace with Natural Semi Precious Gemstones- Citrine, Garnet , Amethyst, Smokey Quartz.